Harris Corporation has introduced a comprehensive solution to increase the safety of drones and other commercial unmanned aircraft systems (UAS) flying at low altitudes in the U.S. The announcement was made during Xponential 2016 being held May 2-5 at the Ernest N. Morial Convention Center in New Orleans. Harris’ ADS-B Xtend service provides critical surveillance information to help UAS operators and airspace managers to increase safety of their operations by providing them with a real-time view of other aircraft flying at low altitudes under 500 feet. The system supplements the FAA’s existing ADS-B network, which provides precise and reliable satellite-based surveillance for the nation’s air traffic control system. The solution features a networked, dual-band receiver and relay system that can be attached to existing structures or to mobile vehicles for roaming coverage. 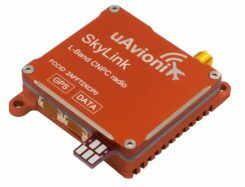 ADS-B Xtend expands the benefits of the company’s existing UAS situational awareness tool, Symphony RangeVue, which provides data for higher altitude flight traffic. Symphony RangeVue puts real-time FAA aircraft tracking data, flexible background maps and weather information in the hands of UAS operators through a web-hosted platform so they can make better informed decisions. Data from networks of ADS-B Xtend relays is fused with all FAA system derived real-time aircraft surveillance data from more than 650 ADS-B ground stations with more than 425 FAA radar systems. 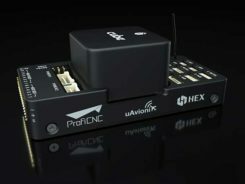 This unique combination of local infrastructure and NAS surveillance data makes ADS-B Xtend a comprehensive situational awareness solution for the UAS market.